Every photographer using a digital SLR camera needs to master exposure in order to achieve the highest quality results in their photographs. 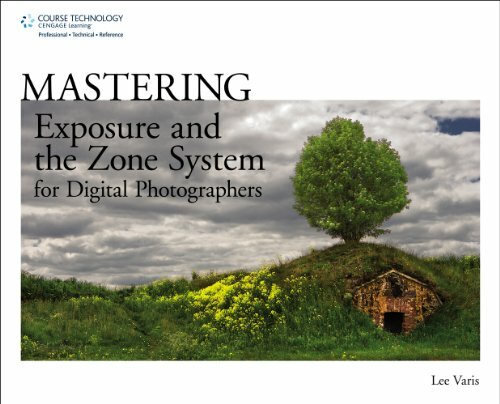 “Mastering Exposure and the Zone System for Digital Photographers” is a complete guide to both the technical and creative aspects of exposure in digital photography. This guide uses a combination of discussion, examples, and hands-on exercises that lead the reader through a progression of skills development covering the full range of photographic lighting situations. Topics covered include basic metering, outdoor and indoor available light photography, fill flash, night, and low-light conditions, as well as advanced topics like action and sports, close-up, high-key and low-key lighting, multiple light sources. In conclusion, the author shows how to use the Zone System, developed by Ansel Adams for film, with today’s digital cameras to achieve stunning results with exceptional tonal range and clarity.